This list of things to do in Bali is several months overdue — I was there in early April — but I think the extra time between then and now has actually helped me refine this list. This isn’t the “Top 10 Things To Do in Bali as Decided by Everyone Ever” or the “Things You Must Do in Bali Otherwise You’ll Miss Half of Your Life” or the “You Know You’ve Been To Bali If You’ve…” list. For what it’s worth, I think you should do in Bali whatever you want to do, whether it’s something really touristy or something totally off the map. But if you’re looking for ideas, this is the list of things I’ve done while I was there that, when I look back, I look back on them with the greatest fondness. Visit Uluwatu. It’s a temple perched on top of towering cliffs in the southern tip of Bali. The temple itself was interesting but what I loved most was the view: a parade of breaking waves at the foot of gorgeous cliffs. Uluwatu is also a great place to watch the sunset and the kecak fire dance. Eat babi guling and other Balinese food. Babi guling is roast pig — it’s the Indonesian version of the Filipino lechon, and I loved it nearly as much. Ketut Arta, our guide on the first day, recommended the babi guling at Ibu Oka (in Ubud) and we were not disappointed. I also loved the mie goreng at the restaurant beside the Royal Eighteen Resort & Spa in Kuta — it was really tasty and surprisingly cheap. Try the ginseng and coconut coffee and the lemongrass and mangosteen tea. 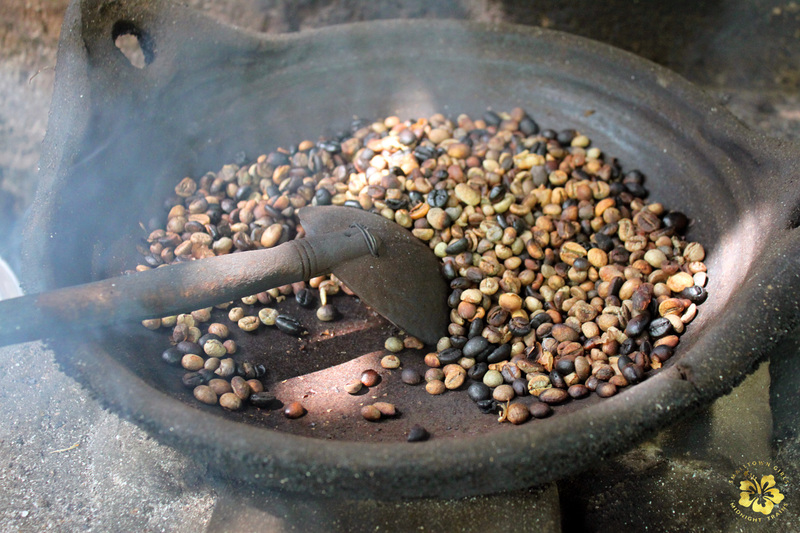 Those were my favorites from the coffee and tea tasting that we had at a coffee plantation but there were many other flavors (which you might like better) for sampling at the site. The visit to the plantation was a bit meh, to be honest — you don’t actually see farmers planting or harvesting or whatever else is done on plantations — but the tasting session makes the stop worth it. Witness a Hindu ceremony. There are some ceremonies that only happen every century, while some are annual celebrations. But you don’t have to take part in a lavish, elaborate ritual — even a simple prayer in a local family’s home temple, if you are lucky enough to be invited to witness one, will give you a memorable glimpse into how the Balinese’s faith forms a big part of their day-to-day life. Talk to locals. Ask questions, even the ones you think are kinda stupid. In my case, while looking for accommodations, I often wondered, “Does this Gusti guy own every B&B in Ubud? ?” I actually thought the properties were, like, Ubud’s version of Hotel 81 or Travelodge. But then I noticed that a lot of people were named Wayan, Made, Nyoman or Ketut. So, aware that I might sound silly or seem insensitive, I nevertheless ventured to ask our tour guide what the deal was with the names. (If you don’t know yet, go to Bali and find out. It’s as good an excuse as any to go to Bali.) The unexpected answer confirmed for me the tenet that the only stupid question is the one you don’t ask. Finally: live the beach life. While the Balinese culture is the island’s most distinctive offering, it’s…well, it’s a vacation, for goodness’ sake. And there’s a beach. Enjoy it! 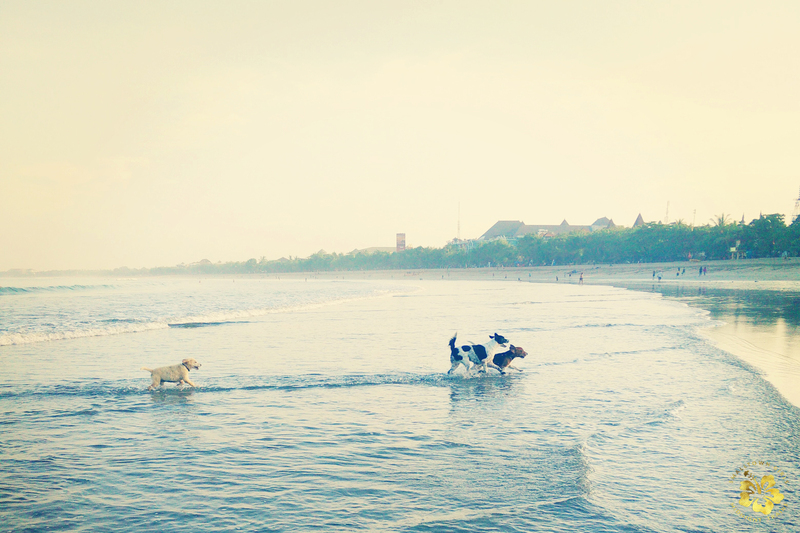 Wake up whenever you like, put on your beach wear, saunter to the seaside, and chill. Surf to your heart’s content or establish residency in a hammock under a tree. You don’t get to do this everyday, so do it while you can. Ride a horse on a beach. 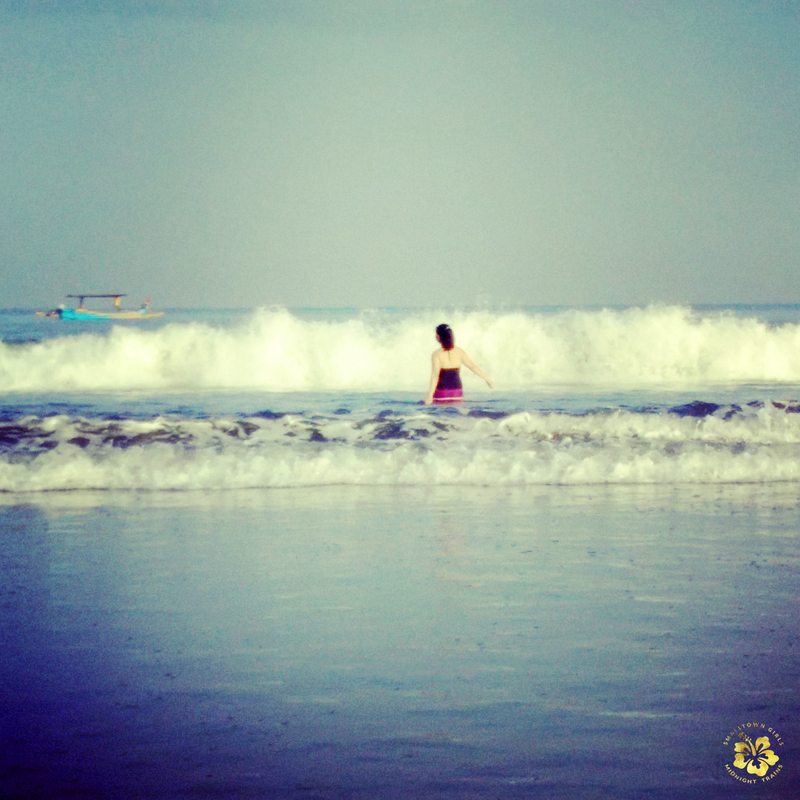 Bali is a big island and although you can try to get around on your own, it’s really worth it to engage a tour guide. There’s a wide range of tours to choose from and you can even ask your guide to tweak your itinerary. On our first day we asked Ketut Arta (artaketut[at]hotmail[dot]com | 08123616274) to pick us up from the airport, take us to Uluwatu, then drop us off in Ubud, and he was wonderful. On subsequent days, we went on tours with Bali Golden Tour and Amazing Bali Tour and would recommend them to anyone else going to Bali. We did some of these, but not others. We went to a heap of ceremonies but never stayed in a local home. We climbed Mt Batur, but didn’t eat babi guling. We asked plenty of question! Bali’s a beautiful place and we’re so glad we spent some time there. It is beautiful. And thanks again for recommending Ketut Arta to us! I forgot to mention him in the last part, will revise the post now. Love to you and Don from the Philippines. “Things You Must Do in Bali Otherwise You’ll Miss Half of Your Life”—> That made me laugh out loud. Your list is wonderful. It’s easy to get caught up in seeing the big sights or visiting the #1 restaurant on tripadvisor but there’s all these lovely little experiences like trying a new tea. It was brilliant. It made me think about past trips too & I realized that most of the memories that stick out to me are not the “must-see” types either. Hi Tin! 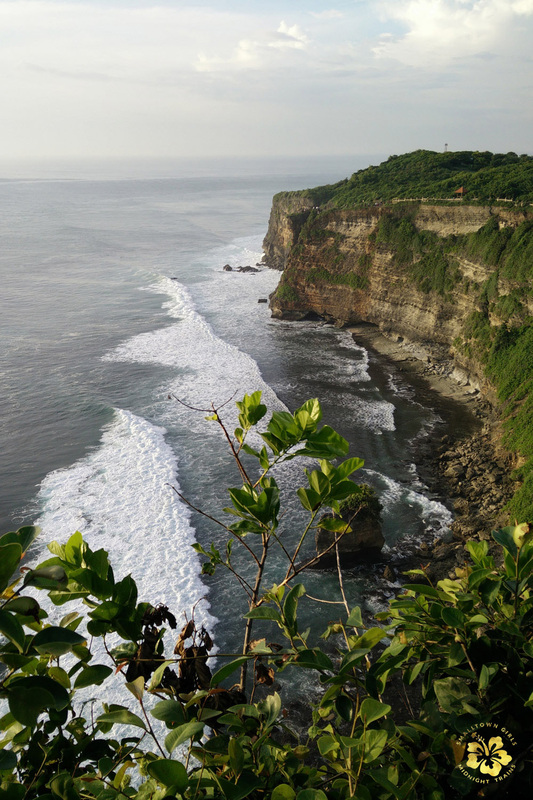 We initially agreed on 350,000 IDR but when Ketut learned that we wanted to go to Uluwatu — which is a long way from Ubud! — he asked for an additional amount. I can’t be sure of the exact total anymore but I *think* it was around 500,000 IDR.